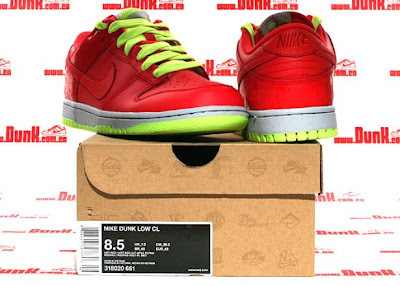 The newest colorway of the Nike Dunk Low CL's sports a hot red upper with the outsole/tongue tag and laces done in volt green which really makes this sneaker pop out. Its been released in China but not yet in the US. Stay tuned for release dates and price information. 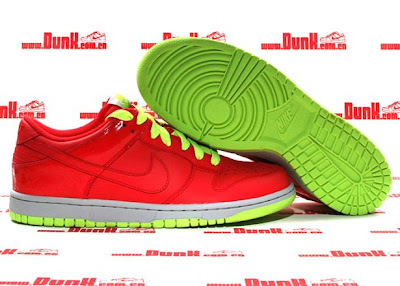 These sneakers are pretty cool. You have to have the right outfit tomake these POP!